Residents of Crane’s Mill, an Essex County Retirement Community, enjoy gardening as a fun spring activity. Although today may mark “April Fools’ Day,” we’re not joking when we tell you that that April is National Garden month. Considering we’re in the Garden State, and that our residents enjoy gardening, how can we not celebrate this colorful month! In the colder weather, all sorts of plants and flowers can be seen in our campus greenhouse, but as the weather warms, the ground thaws, and the days grow longer, you’ll begin to see many different gardens sprouting up all around campus. For our cottage-dwellers, you will see gardens akin to those you would see at a single-family home while apartment residents take advantage of their screened-in porches (every apartment has one). Plus there’s the ever-popular gardening club, which does a fantastic job in transforming pockets of our 48-acre campus intro glorious gardens. 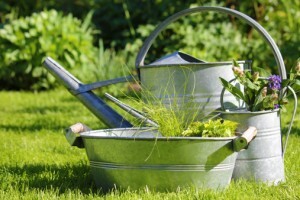 The National Gardening Association has a great website that has information, project ideas, and resources to help you and your family get in the gardening spirit. While we’re on the topic of nature, please be sure to visit our series of 100 Amazing Nature Photos.